By their very nature, hospitals can be overwhelming, highly stressful places, where emergencies and life and death situations occur every day. However, these medical facilities can also be the sites of miracles, lives entering the world, lives saved, and second chances. The health professionals who operate within these walls receive extensive education and training in order to provide the utmost standard of care to the patients and families who come to rely on them. Unfortunately, errors, oversights, and other failures to fulfill these responsibilities can mean the difference between lives saved and lives lost, full recovery and permanent injury. When these tragic events do occur, the law provides a mechanism through which to hold these negligent parties responsible and perhaps more importantly, to ensure that these mistakes are not perpetuated to the detriment of other innocent victims seeking proper care. At Fronzuto Law Group, our highly knowledgeable medical malpractice attorneys have pursued cases of hospital negligence for victims across New Jersey, achieving millions in recovered verdicts and settlements and leaving countless gratified clients along the way. We pride ourselves on providing representation informed by over 75 years of combined experience, compassionate personal service, and a true dedication to holding negligent parties responsible for the harm they cause. To schedule your free initial consultation with one of our seasoned lawyers today, call 973-435-4551 (toll free at 888-409-0816) or contact us online. When you go to the hospital, you count on the medical professionals who examine you to be properly trained and to meet a certain standard of care. Unfortunately, many injuries and illnesses are made worse by negligent treatment at a hospital. In fact, countless patients suffer harm caused by preventable medical errors in the hospital each year in New Jersey. When a patient is harmed due to hospital negligence, they may be able to seek financial compensation by filing a medical malpractice lawsuit. Emergency room errors: Emergency room doctors are supposed to be trained to recognize the signs of aggressive illnesses or injuries that require urgent care. Given the urgency of treating individuals who come to the emergency room, even a minor error can prove deadly for a patient. Some common ER errors may include failure to admit or failure to treat in a timely fashion. Misdiagnosis: Patients rely on doctors to accurately interpret test results and correctly diagnosis medical conditions. Doctors must be able to make timely diagnoses of life-threatening conditions so that patients can receive necessary, potentially life-saving medical treatment before they suffer irreversible harm. If a medical condition is misdiagnosed, it is unlikely to be properly treated. Misdiagnosis of heart attack or stroke: Certain kinds of misdiagnosis may be worse than others. When a doctor misdiagnoses a patient’s heart attack or stroke, the patient can suffer catastrophic damage to their heart or brain. In the worst cases, delayed surgery or treatment can lead to an untimely preventable death. Failure to timely intubate or improper ventilation: Patients who are given general anesthesia for surgery typically need to be intubated in order to breathe on their own. Additionally, a patient who suffers respiratory failure or is experiencing respiratory distress may need to be intubated to breathe properly. The failure to intubate or to provide proper ventilation can deprive the patient’s brain of oxygen and lead to brain damage or death. Errors during surgery: When a patient undergoes surgery, they are typically in a vulnerable state and depend on their doctors, nurses, and other medical personnel to properly care for their health and well-being. A negligent surgeon who performs the wrong procedure, lacerates or punctures an organ during surgery, or otherwise acts carelessly during a procedure, should be held accountable for the harm they cause. Anesthesia errors: Many patients who “go under the knife” need anesthesia so that they do not suffer extreme pain or trauma during the surgery. When an anesthesiologist makes even a small mistake, the consequences can be fatal. 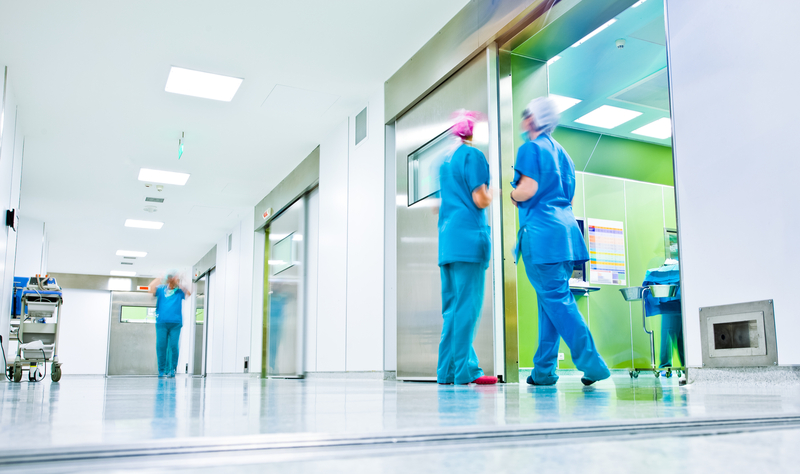 Postoperative Negligence: When a patient undergoes surgery, they need to be protected against infection that can reduce the likelihood of a successful recovery. If the patient is not properly monitored after surgery, or if physicians use improperly sterilized medical instruments to treat the patient, they may suffer infection that causes additional health complications. The initial injury can be further compounded when doctors fail to diagnose an infection or complications resulting from surgery. Medication errors: Medication must be prescribed and administered properly. When doctors or nurses administer the wrong medication to a patient, or use the wrong techniques to administer medication, the mistake can cause severe damage to the patient. In the worst cases, the patient’s medical condition can be exacerbated due to the medication error. Birth injuries: A particularly devastating context for physician negligence in the hospital is during labor and delivery. Medical malpractice involving a new parent can cause severe injuries to the newborn child or the mother. It is important for doctors to recognize the signs of labor and take appropriate action when delivering a child. It is equally essential to address maternal conditions that may be experienced during pregnancy, such as preeclampsia. 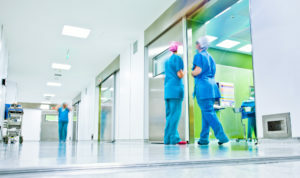 Depending on the type of malpractice, victims of hospital negligence can suffer devastating injuries, including traumatic brain damage, spinal cord damage, permanent disability, and even wrongful death. For those who survive their injuries, the effects of medical malpractice may involve repeated hospital stays, expensive medical bills, physical therapy, and pain and suffering. The stress of being unable to cover the additional expenses that often accompany a serious injury, as well as lost wages if the physical recovery process requires a leave of absence from work, can make things incredibly difficult for the victim. That is why it is imperative that victims of hospital negligence talk to a knowledgeable medical malpractice attorney and explore all their available options for financial recovery. Frequently, the nuances of these cases and the multiple parties involved in treating one patient can require extensive investigation in order to identify the responsible party. Whether a doctor, nurse, physician’s assistant, emergency medical technician, radiologist, lab technicians, or other hospital employee negligently caused you harm, we will employ all of the resources at our disposal to establish liability and pursue the compensation that you deserve. At times, bringing suit against the hospital as a whole is more appropriate, in which case we proceed aggressively with your claim and refuse to acquiesce to these often powerful interests. It is important to note, however, that your time may be extremely limited for filing a claim. For example, if your case involves suspected malpractice at a New Jersey public hospital, you are required to file a tort claim notice within 90 days, even though the statute of limitations in cases involving medical malpractice is technically two years. With this in mind, we urge you to seek timely legal counsel. If you or someone you care about suffered and you believe the hospital failed to follow the accepted standards of care, it is vital to contact an experienced medical malpractice lawyer as soon as possible. Medical malpractice law in New Jersey is complicated, and legal claims in this area of the law often involve highly complex legal arguments. A successful medical malpractice claim is best handled by a knowledgeable and experienced attorney. The medical malpractice team at our firm will fight to overcome the “wall of silence” that often complicates medical malpractice claims, as far too many doctors, nurses, and other hospital employees tend to remain silent in the face of a lawsuit. As necessary, we will depose witnesses, inquire about your diagnosis and treatment, and carefully analyze hospital records, staffing reports, and medical charts to determine if your injuries or illness were caused, or made worse, by negligent treatment. The moment we commence with our investigation, we begin finding the answers you need to move forward. Contact Fronzuto Law Group at 973-435-4551 for an immediate and cost-free consultation with one of our experienced New Jersey medical malpractice lawyers.